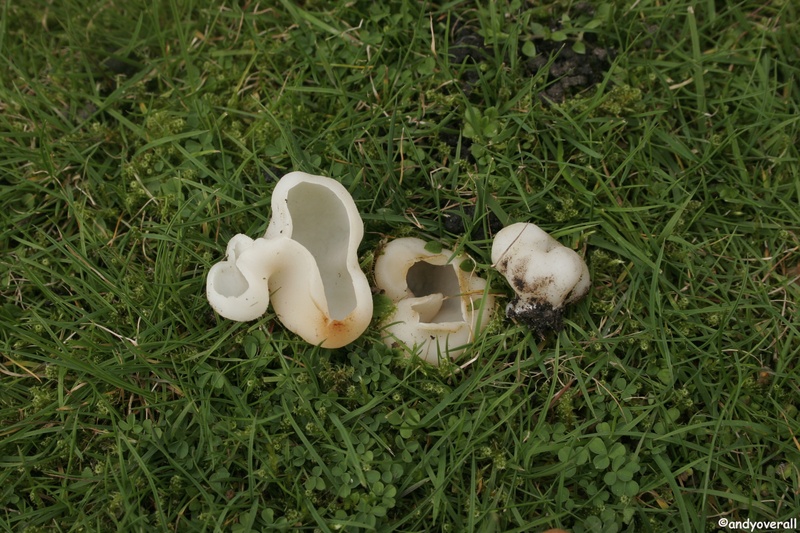 A white Peziza emerging from a lawn on The Kenwood Estate was ticking all the boxes of nothing I had seen before. Therefore my next move was to hand this over to the British expert on Peziza, then Head Mycologist at Kew, Brian Spooner. Brian could find nothing British to fit the morphology and microscopic details of this collection. The closest match he could find was the european taxa, Peziza alborosea. The cf written between genus and epitaph means to confer with, or compare.